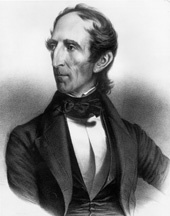 Abell, Alexander G. Life of John Tyler, President of the United States, Up to the Close of the Second Session of the Twenty-seventh Congress. New York: Harper & Brothers, 1843. Chidsey, Donald Barr. And Tyler Too. Nashville: T. Nelson, 1978. Chitwood, Oliver Perry. John Tyler, Champion of the Old South. New York: D. Appleton-Century Co., 1939. Cronin, John William, and W. Harvey Wise, Jr., eds. A Bibliography of William Henry Harrison, John Tyler, James Knox Polk. Washington: Riverford Publishing Co., 1935. Durfee, David A., ed. William Henry Harrison, 1773-1841: John Tyler, 1790-1862: Chronology, Documents, Bibliographical Aids. Dobbs Ferry, NY: Oceana Publications, 1970. Jackson, John Byers. John Tyler and the United States Bank. Masters thesis, Ohio State University, 1938. Kleber, Louis C. John Tyler. History Today 25 (October 1975): 697-703. Mann, Nancy Wilson. Tylers and Gardiners on the Village Green: Williamsburg, Virginia, and East Hampton, Long Island. New York: Vantage Press, 1983. Monroe, Dan. The Republican Vision of John Tyler. College Station: Texas A & M University Press, 2003. Seager, Robert, II. And Tyler, Too: A Biography of John & Julia Gardiner Tyler. 1963. Reprint. Norwalk, CT: Easton Press, 1989. Sydnor, Charles William. The Congressional Career of John Tyler, the Tenth President. Masters thesis, West Virginia University, 1933. Tyler, Lyon Gardiner, ed. The Letters and Times of the Tylers. 3 vols. 1884-1896. Reprint. New York: Da Capo Press, 1970. Wise, Henry A. Seven Decades of the Union: The Humanities and Materialism, Illustrated by a Memoir of John Tyler, with Reminiscences of Some of His Great Contemporaries. 1872. Reprint. Freeport, NY: Books for Libraries Press, 1971.